This little frog turned up in our yard this week . 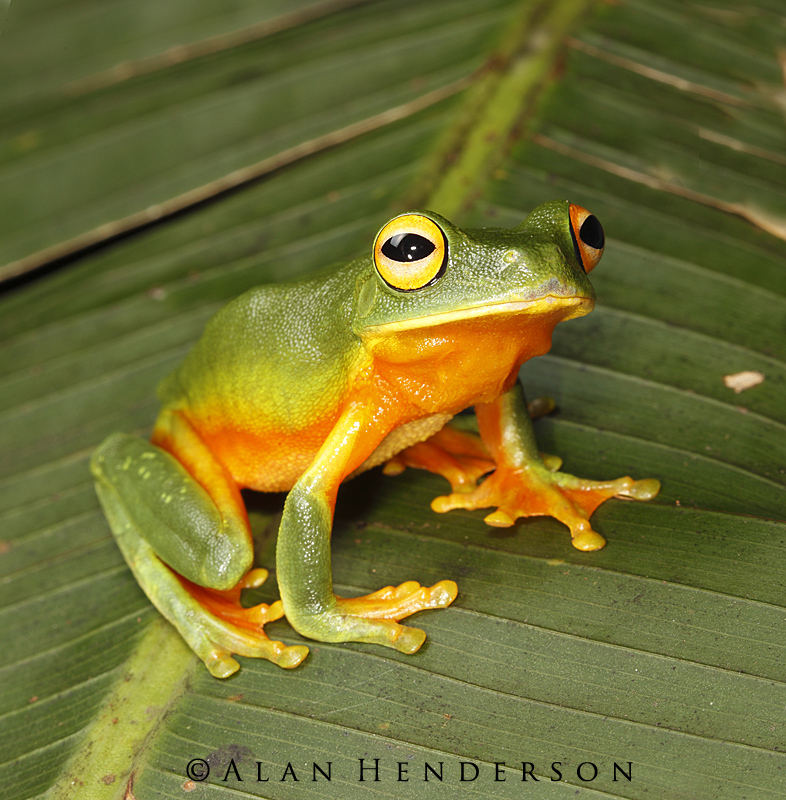 It is an Orange-thighed Tree Frog (Litoria xanthomera), and is one of most colourful local frogs. This species grows to around 55mm, and is only found in north Queensland's rainforests. This species is an excellent climber, and most likely spends most of its time high up in the foliage. They are very common in the nearby Jumrum Creek Consevation Park, and on wet nights their calls can be heard coming from throughout the rainforest. They often call from low vegetation adjacent to water and breed within static pools, and as a result can make use of various temporary pools and pockets of water that form after heavy rains. This individual was particulalry colourful. Its underside being a mixture of rich orange and yellow.